Now that you have a handle for how they come up with their basic pricing, let’s dive a little deeper by understanding how to judge the real value you’re getting for the price you’re paying. 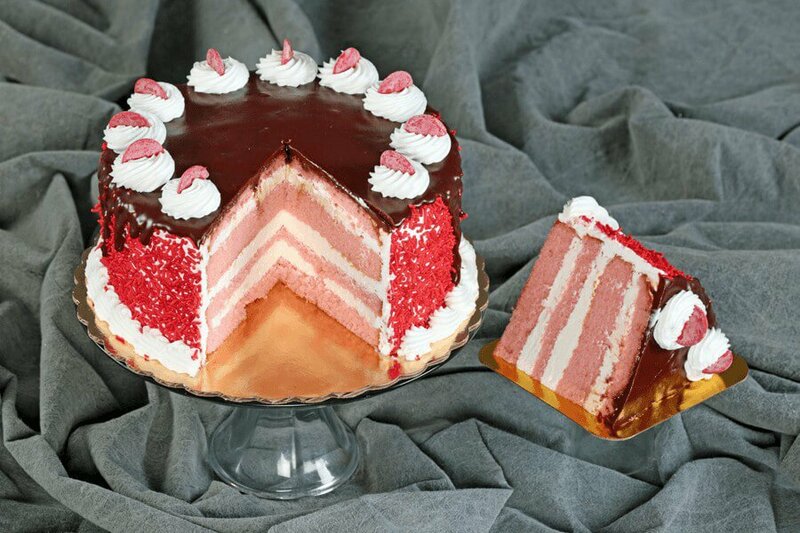 We provide an exclusive brand of moist and flavorful cake. It’s an exclusive brand called ULTRAmoist™ only available at The Cake Gallery. Even though the cost of the ingredients are twice the price of any competitor, our prices only average 20% more. We provide the largest collection of cake photos on our website for any single bakery in the country. We invest tens of thousands of dollars in photography and original concepts each year, so you can select the hottest trends, ideas, and concepts from your fingertips. We provide the largest selection of copyrighted figurines in the country for a single bakery. If you are looking for My Little Pony, Superman, Nascar, and about 300 other copyrighted cartoon characters, TV shows, etc. there is a good chance we’ll have it. We have over 500 square feet dedicated to carrying an inventory of decorating items. It’s so extensive cake artists from other bakeries around the country come to us for items they can’t find. You can trust us to be there for your next important celebration. We’ve been in business for 50 years (1967-2017) and are working hard to earn your continued trust for the next 50. Unfortunately, 25% of all bakers go out of business each year. Even in Omaha, we do an emergency cake almost every week for a customer who was left out in the cold by an unlicensed home baker. 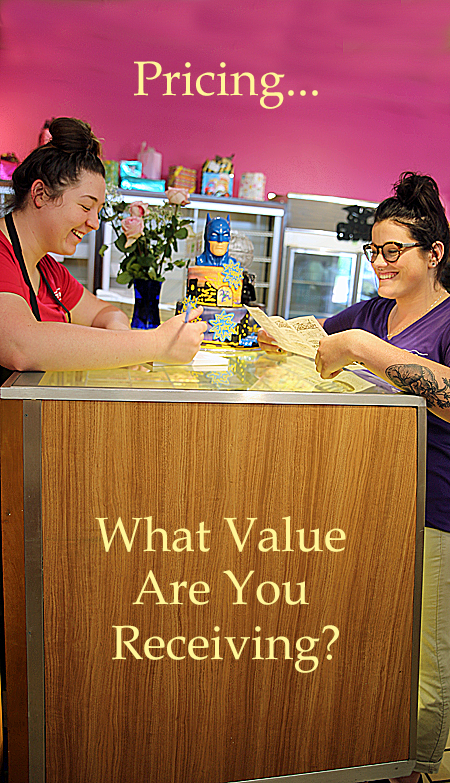 So, what value should you anticipate from a cake artist or a business that creates cakes? Here’s an easy method to determine what to expect from your cake maker. View your baker like choosing a hotel. A five-star hotel has a convention center, five or more restaurants, indoor swimming pool, $1,000-bed sheets, concierge service, and a very professional staff etc. A two-star hotel has clean rooms, and maybe a free continental breakfast. You certainly don’t expect to pay a 5-star price for a 2-star hotel. Right? The same holds true for cake bakers. Just like a two-star hotel, a two-star Baker should have prices that are considerably less. Their prices should be in line with their true value. You can also use the age-old analogy or compare apples to apples. For instance, compare one grocery store to another or home-based cake bakers against each other. Don’t make the mistake of comparing the price of a 4-star cake boutique to a 2-star grocery store bakery or a 2-star home cake artist. For example, in our research we’ve discovered one or two-star cake artists hardly ever answer their phones. They call you back when they can or feel like it, because they have another full-time job. The most common complaint consumers share with us is the fact they’re frustrated because a one or two-star baker is hard to get a hold of or don’t return phone calls at all. The second value item they lack is an informative website if they have one at all. Many of them only have Facebook pages for their cake business. Since Facebook is a collection of fans, it’s not a true judge of reviews or their service. On the other hand, Google reviews offer a better collection of satisfied as well as bitter reviews. Just keep in mind, if they have less than 50 reviews, the score doesn’t carry much credibility. The third value item they lack is their overall level of decorating skill. Many of these cake artists can do a fairly good job decorating their cakes with “rolled fondant,” but lack the skill to do a good job with “buttercream” frosting. Since over 85% of all cakes still are decorated with buttercream, this often presents a problem. A cake artist who charges four or five-star prices should make your buying experience convenient and easy with a wide range of options. Plus, they should have a staff that offers a range of skills a one, two or three-star Baker can’t or don’t. So, when you’re pricing a custom cake or a design found on Google or Pinterest, keep in mind the type of service, skill, and professionalism you desire…just like choosing a hotel. Please read “How Most Cakes are Priced Article 3”, to finish the conversion. We’ll discuss the most important items you need to know when pricing standard round-layered and sheet cakes, as well as tiered, 2 dimensional and 3-dimensional cakes. Mr. Otto is the proprietor of The Cake Gallery in Omaha Nebraska and WeddingCakeSalesAcademy.com. Ed is an author, speaker, coach and consultant to cake boutiques, bakeries, grocery store bakeries and home bakers. He can be reached at ed@OmahaCakeGallery.com.